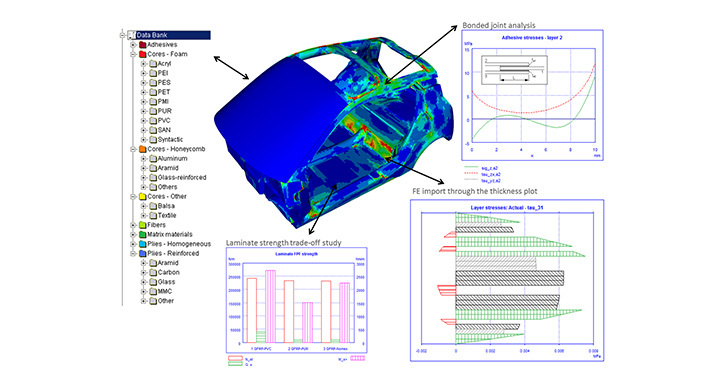 Altair ESAComp™ is a software for analysis and design of composites. Its scope ranges from conceptual and preliminary design of layered composite structures to advanced analyses that are applicable for the final verification of a design. ESAComp Showcase Video Brief introduction video about the capabilities of Altair ESAComp and its placement in the HyperWorks portfolio. ESAComp has a vast set of analysis capabilities for solid/sandwich laminates and for micromechanical analyses. It further includes analysis tools for structural elements: flat and curved panels, stiffened panels, beams and columns, cylinders, bonded and mechanical joints. 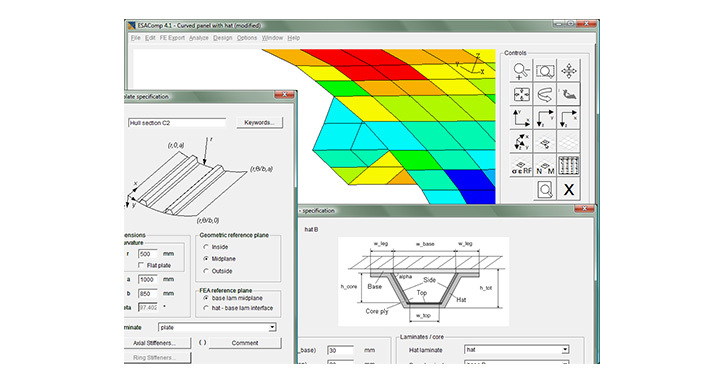 ESAComp is a stand-alone software tool, but thanks to its ability to interface with widely used finite element software packages ESAComp fits seamlessly into design processes. The combinations of composite material systems and structural concepts are limitless. The ESAComp materials database gives a good basis for trying potential materials for a design. 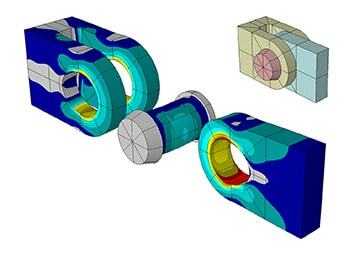 The analysis capabilities of ESAComp enable quick and easy trade-off studies, such as between solid, sandwich or stiffened designs. Using the right tool at different phases of a project ensures efficiency. 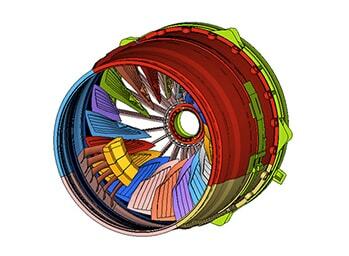 The FEA environment is not ideal for laminate level studies or lay-up design. In the early phases of a project, the structural elements of ESAComp provide fast analysis without a full geometric model. Designing with composites is a challenge. Without careful assessment of the structure, a potential failure mode can be easily missed. ESAComp complements the capabilities of FE tools in doing this. Advanced ESAComp features, such as probabilistic analysis, become very useful when verifying the real performance of the design. 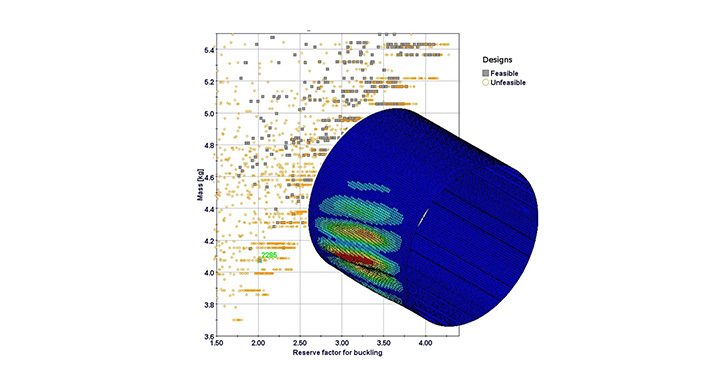 Besides the user environment that allows practical hands-on optimization of designs, ESAComp integrates as part of more complex optimization systems. To help users get started, ESAComp's easy-to-follow documentation includes tutorials and reference materials, along with first-class technical support. 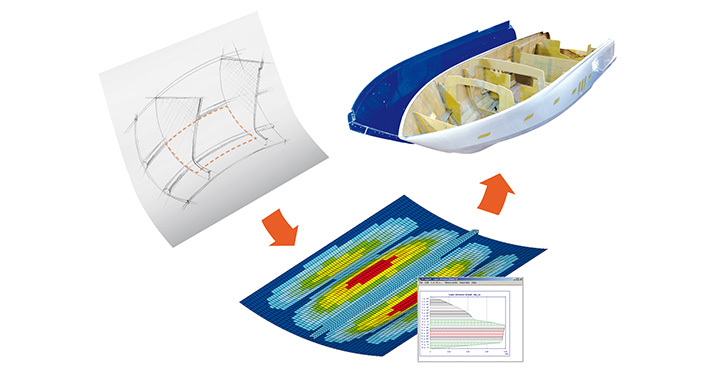 ESAComp analysis and optimization capabilities were used in the design of the Biofore Concept Car. ESAComp allows quick modeling of stiffened composite panels for preliminary dimensioning. 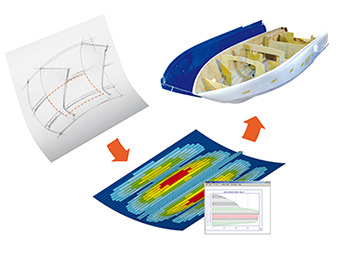 From concept to final composite structure – the marine industry is among those that utilize ESAComp. 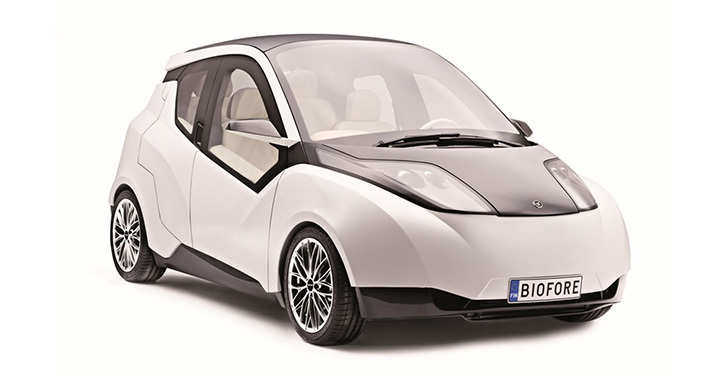 Biofore Concept Car applies composites in innovative ways – with some help from ESAComp. ESAComp can optimize the lay-up and geometry of structural elements together with HyperStudy. 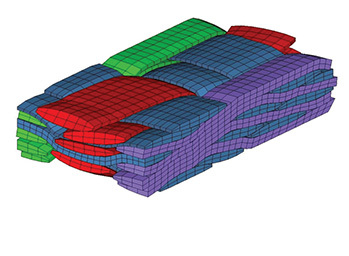 ESAComp enhances the post-processing capabilities of HyperWorks for composite structures. ESAComp interfaces with HyperWorks for both pre- and post-processing. 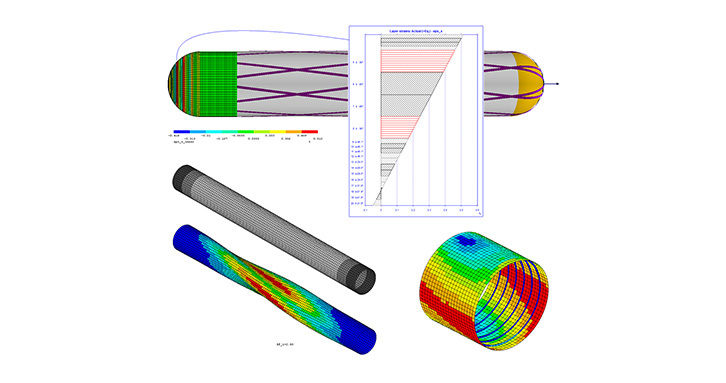 For the analysis of cylindrical structures, ESAComp can be used with a winding simulation tool. The ESAComp Data Bank includes data for a wide selection of composite materials and material systems. User and company specific material libraries can be stored in the database, as well as data related to design studies. Besides materials, the ESAComp database includes ESAComp objects: fibers/matrix materials, plies, laminates, beams, panels, cylinders, bonded and mechanical joints, loads, and boundary conditions. 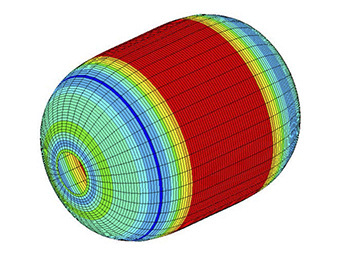 ESAComp forms an efficient platform for performing design studies of composite structures. The display of graphical results helps in performing trade-off studies between materials and structural alternatives. Users have almost limitless options for selecting and combining the resulting data and to display it as numeric tables, layer, bar, line, and polar charts, carpet plots, failure envelopes and 3D contour plots. ESAComp documentation not only helps structural engineers familiarize themselves with composite engineering, but also provides extensive theoretical reference documents needed by composites experts. See the detailed list below. Units and output formats can be changed at any time during the session. Enabling extension of analysis capabilities with user scripts, execution of batch runs, and integration to user's design workflows. 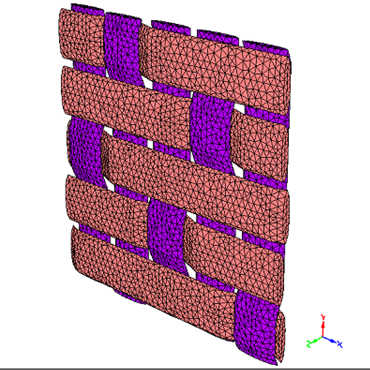 Materials and lay-ups can be transferred to HyperMesh while taking advantage of ESAComp's capabilities, such as multiple strength sets, environment-dependent material data (e.g. temperature or moisture), the practical user interface for lay-up definition, and its laminate design capabilities. Material and laminate data can be exported in the following solver formats: OptiStruct, Nastran, Abaqus, ANSYS, and LS-DYNA. 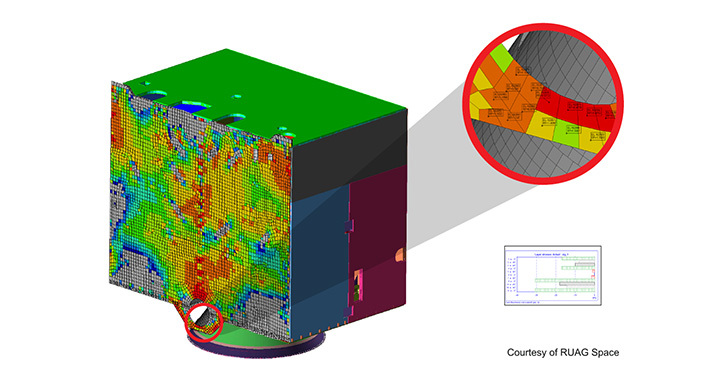 FE results, material, and lay-up data of related elements can be transferred to ESAComp for additional failure analysis. Failure analysis includes the application of advanced failure criteria such as Puck or LaRC03, which are often not available in solvers. Reserve factors are computed for all layers as well as on laminate level, covering, for example, wrinkling failure and interlaminar shear. This information can be passed to HyperMesh Desktop for visualization along with information on failure modes and critical layers. Further, ESAComp offers through-the-thickness plots, which illustrate the stresses, strains or reserve factors (margins of safety and inverse reserve factors, respectively), Loads and laminates can be derived from the imported load case to benefit from ESAComp's whole set of tools for design improvement. 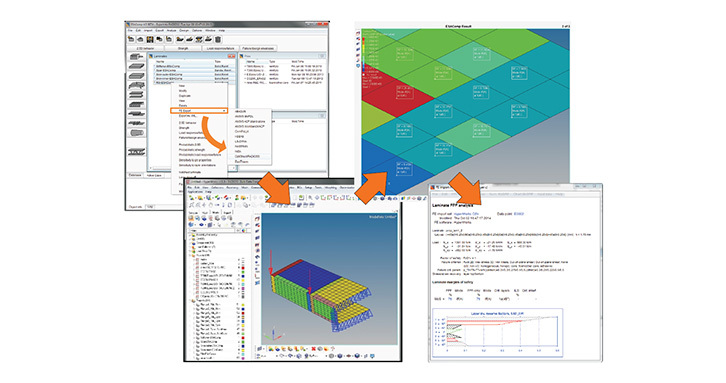 Currently supported solver profiles are OptiStruct and Nastran.